When you’re gearing up to play a tennis tournament, there’s only one thing needed other than a racket and a burning desire to win: a uniform. Enter adidas, who have just announced a new capsule collection designed in collaboration with London skate brand Palace. Celebrating the sporting event of the summer – okay, the other sporting event of the summer – Wimbledon, the garments have been tailored towards dynamism and boundary-pushing performance. The collection – made up of menswear, womenswear, and accessories – features throwback references to tennis’s glory days of the 70s and 80s, updated via adidas’s cutting edge technology. For men, there are terry-towelling tracksuits and graphic tees, all riffing on classic Palace styles, while for the girls, fitted tank tops and tennis dresses dominate – with the capsule marking the hyped London label’s first foray into womenswear. 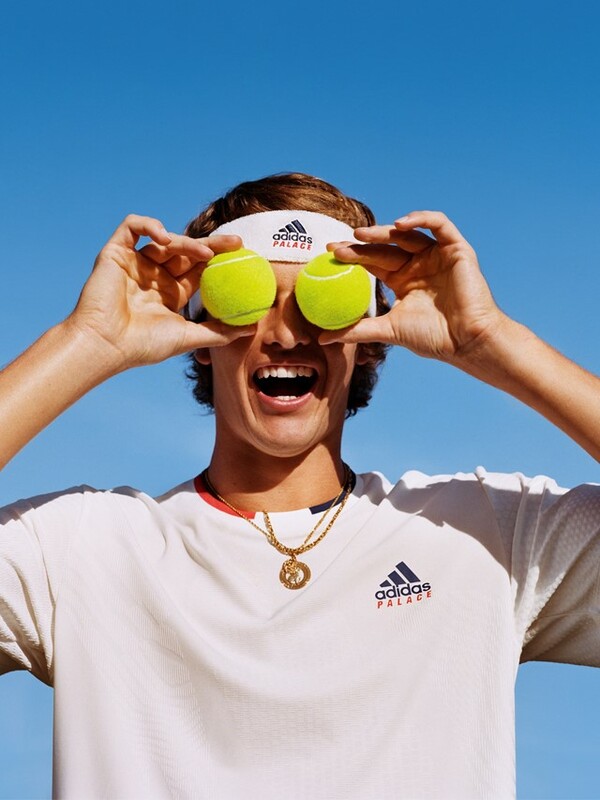 As part of the adidas Tennis x Palace lookbook, which was released today ahead of the collection’s July launch, we get to see the clothing in action, too. Taking over from Juergen Teller, who shot Palace’s seasonal campaign earlier this year, friend of the brand Alasdair McLellan is back behind the camera. The shoot shows Blondey McCoy, Lucien Clarke (both fresh from their appearance on the runway at Louis Vuitton), and more of the Palace Wayward Boys Choir taking to the court on a bright, sunny day. Whether the sun makes an appearance when Wimbledon actually starts is another question altogether: we won’t be holding our breath.